Jen has worked in the technology industry channel for 18 years working across organizations such as StorageTek, Sun Microsystems, Oracle, EMC and Dell EMC. Although she started in the channel as a partner marketing manager driving marketing strategy, the majority of her career has been spent behind the scenes in marketing operations, reporting and business intelligence (BI). Her responsibilities have included improving process/policy, working to get partners to provide return on investment information and helping to provide best-in-class BI to assist marketers in making data driven business decisions on their marketing investments. She has also worked at a marketing consulting firm as a database administrator and helping to improve client search engine optimization. 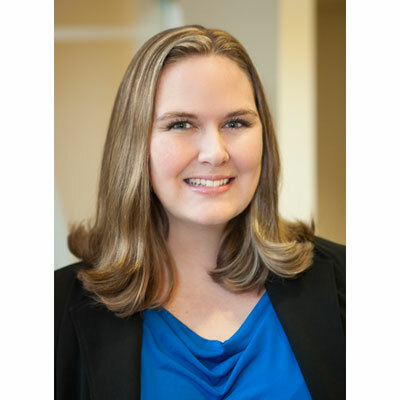 She has been at Dell EMC for the past six years and her current role as the director of marketing operations and BI includes managing a team executing the partner program for Dell EMC global alliances and OEM partners, back-end reporting and ROI capture and BI for the OEM side. Over the past year, I have been working to enhance and simplify our partner program to make it easier to administer through guideline, process and system changes. I am also currently working on a process to capture return on investment (ROI) information for our global alliance partners to link marketing investment back to actual sales that were influenced by that investment. My goals are to implement the ROI capture process we have been developing to help link marketing investment to actual pipeline and bookings. We will work to report the outcome of our marketing investment and the success of our partnership and make better decisions moving forward on what we spend our money on together. I have had the honor of being the president of a non-profit organization, the Melorheostosis Association, for the past six years, but this past year has been particularly special as we have been able to secure a study from the National Institute of Health (NIH) for research on this rare bone disease. There are so many women I admire in this industry, but I would have to say Anna Dorcey, VMware Americas field marketing vice president. She is extremely knowledgeable about all things marketing and channel. I have had the pleasure of being able to work with and for her over the past few years and learn from her insights. She is very driven both personally and professionally. She has pushed me to grow and become a better leader. Don't wish away your youth. It only comes once. Enjoy it while it lasts. Try not to take yourself too seriously. Have a plan for the future and stay focused, but continue to have fun and enjoy your time before college as well. I would love to go back to school to learn more about app development. There have been several times I have thought it would be great if we could create an app that does something for our partners. I would love to be able to implement it without any outside assistance. Plus, I am a data geek and think it would be extremely interesting. The Hidden Magic of Walt Disney World by Susan Veness. As I get older, I feel it is more and more important to preserve the innocence of youth. The book focuses on seeing the magic in everyday occurrences and how to look past what you see on the surface to find something deeper. This book helped me look at a place I have been several times with new eyes, which I didn't realize was possible. It helped me take that same view into everyday life and work and not take it for granted.